Wiley Post walks by his 5C Vega in which he made world flights and tested this first practical pressure suit. 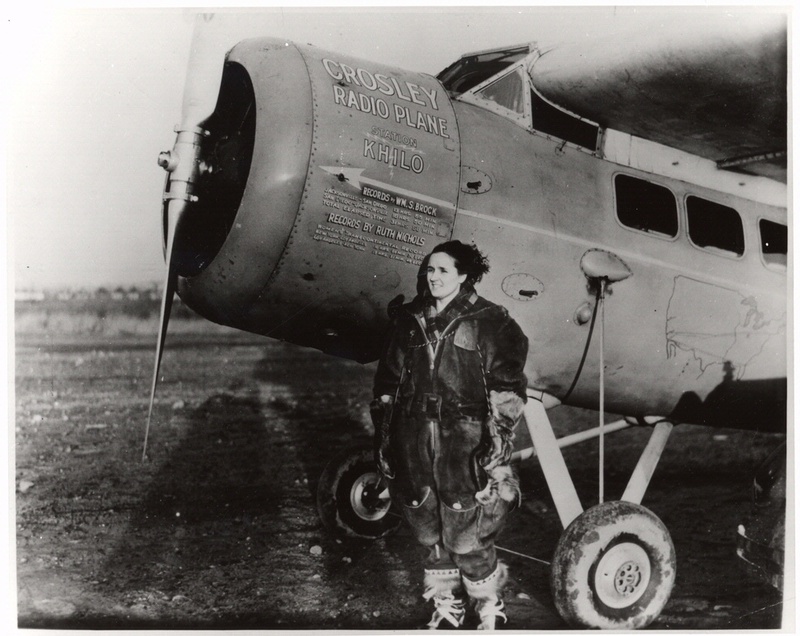 Lockheed’s speedy Vega was the aircraft of choice for many notable pilots and record flights. 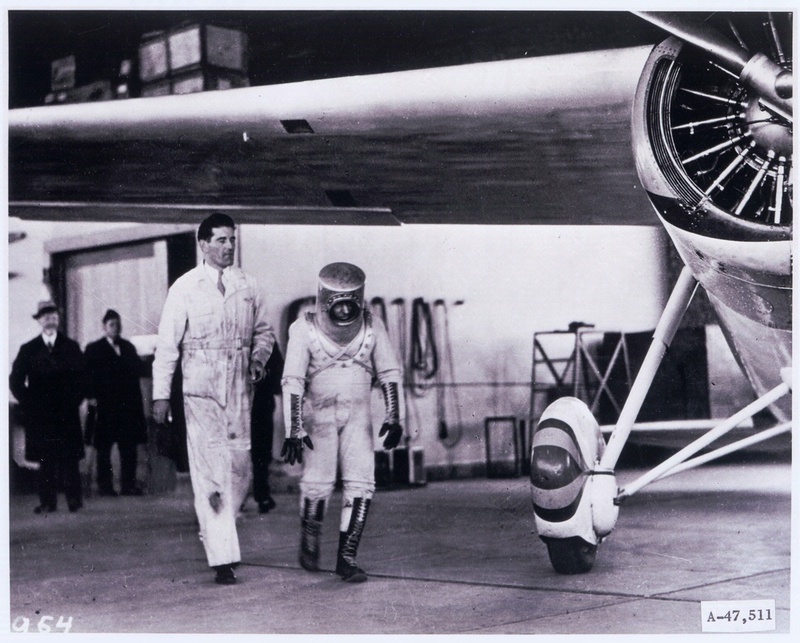 Here, Wiley Post, wearing the world’s first practical pressure suit, walks beneath the wing of the Lockheed 5C Vega Winnie Mae. 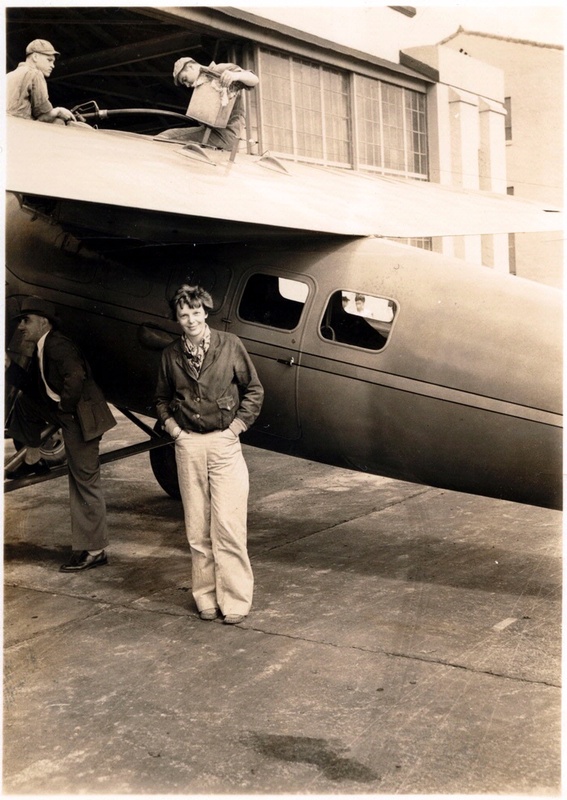 Post made the first solo round-the-world flight in the Winnie Mae in 1931 and used it again to test his pressure suit in 1935.